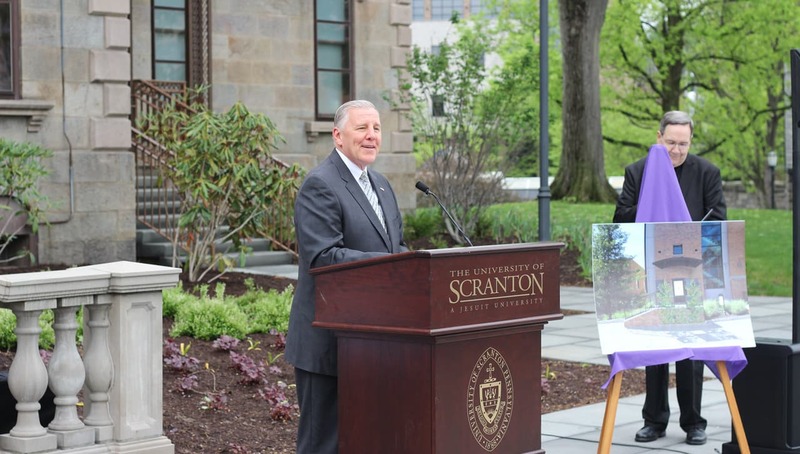 On May 17, 2018, the University welcomed PA State Senator John Blake to campus for a ceremony to celebrate pedestrian improvement projects for the Commons and Estate areas. 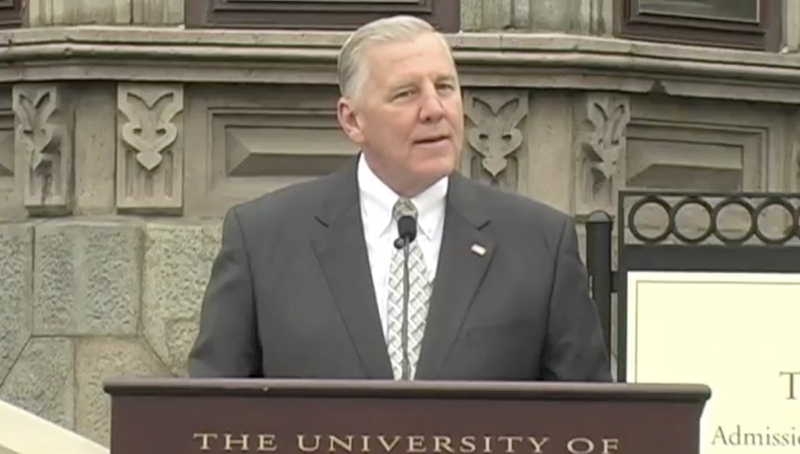 The University received funding support for the projects from the Multimodal Transportation Fund of the Commonwealth of Pennsylvania, which Senator Blake helped secure. Improvements to the Estate include a bluestone terrace in front of the historic building and stone entrance steps inspired by its original design. 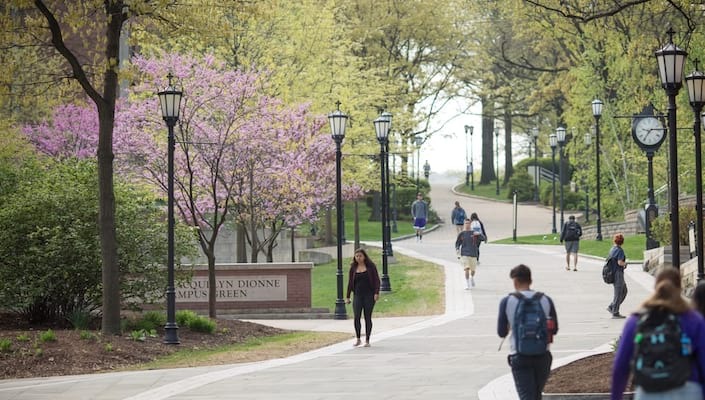 Improvements to the Commons included a new Commons Flag Terrace, updates to the parking pavilion, and new walkways of bluestone and granite pavers.